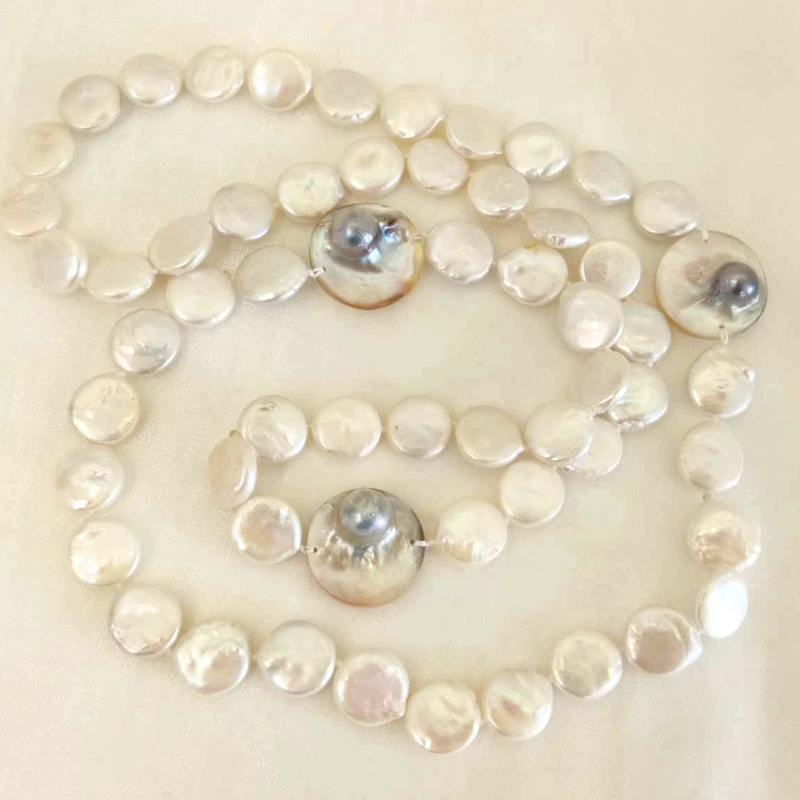 A 36 inch long necklace of superb quality disc pearls (coin pearls) in sparkling lustrous white. 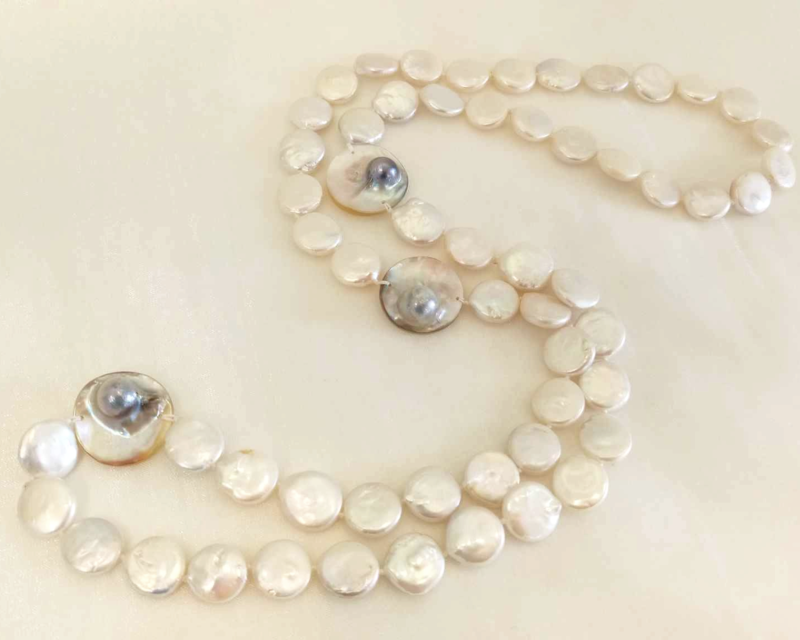 Each one is about 12 mm in diameter and the necklace features 3 carefully selected rare 'Mabe' pearls, set in their own polished Mother-of Pearl discs, as nature intended. Every feature of this unusual piece is hand-knotted on multi-strand silk in the traditional way for security and style. 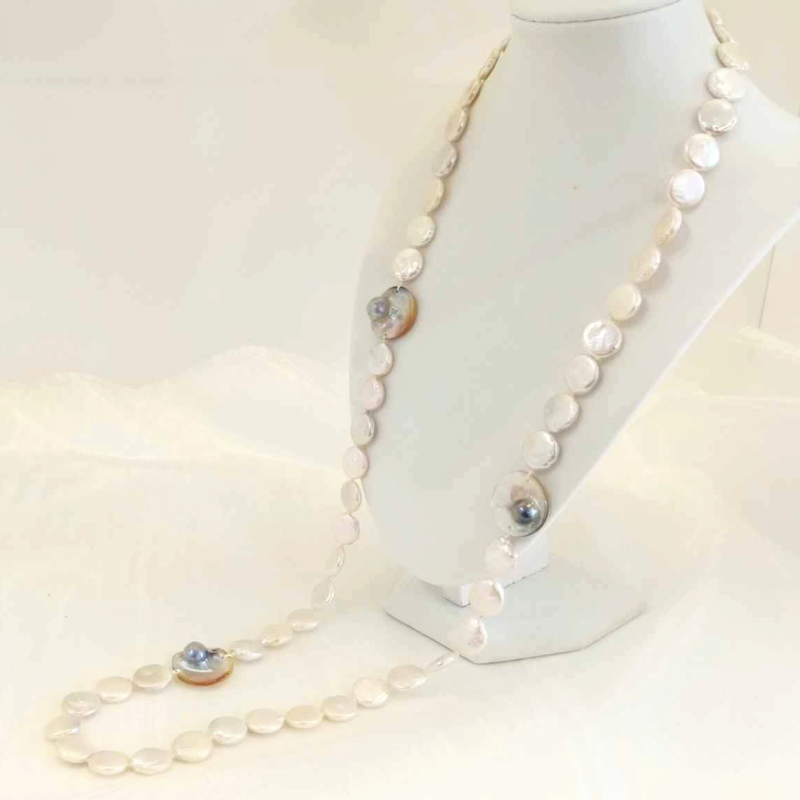 Your necklace comes in a pretty and practical purse.